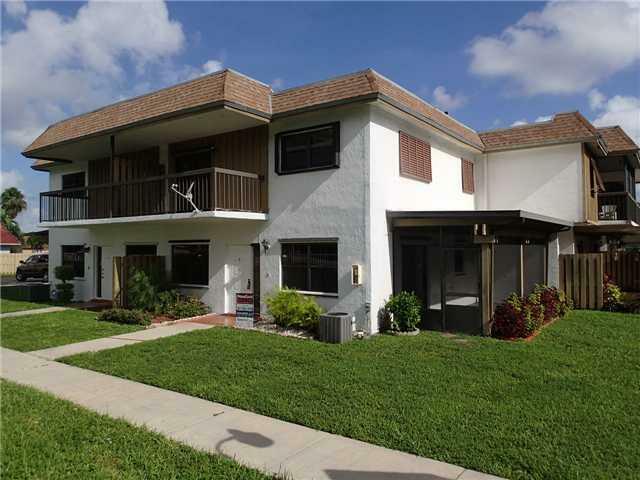 Impeccable Corner Unit Townhouse in the Heart of Miami Lakes. This beauty features 2 Bedrooms, 2.5 Bathrooms with Split floor plan. Private balcony setting from your Master Bedroom to enjoy the Miami Sunset after a long day of work. Interior features Italian Tile floors, Exterior Patio Area features Private Screened Terrace for Family gatherings, or great setting for out door play area for your Kids! This is A Fannie MAE Homepath Property, Purchase this Home with as Little as 3% down payment. This listing courtesy of Homesafe Realty Corp.